Frances Spalding is an art historian, critic and biographer. She read art history at the University of Nottingham and began writing journalism and books while still a post-graduate. 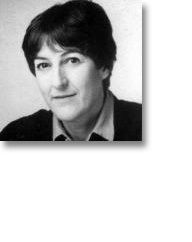 In the late 1970s and 1980s she wrote extensively on twentieth-century British art, at the same time developing an interest in biography. Her reputation was established with Roger Fry: Art and Life in 1980 and she went on to write lives of the artists Vanessa Bell, John Minton, Duncan Grant and Gwen Raverat, as well as a biography of the poet Stevie Smith. Her survey history, British Art since 1900, in the Thames & Hudson World of Art series has been much used in schools, colleges and universities, and in the mid-1990s she was commissioned by Tate to write a centenary history of this national institution. In 2000 she joined Newcastle University where she is now Professor of Art History. She is a Fellow of the Royal Society of Literature, an Honorary Fellow of the Royal College of Art and in 2005 was made a Companion of the British Empire for Services to Literature. Books currently available by Frances Spalding include Whistler (Phaidon Press), Vanessa Bell and Stevie Smith: A Critical Biography (both The History Press), Duncan Gramt (Pimlico), Dance till the Stars Come Down: John Minton (Lund Humphries), Gwen Raverat: Friends, Family and Affections (Harvill Press) and The Bloomsbury Group (National Portrait Gallery 'Insight' series). Her biography of John and Myfanwy Piper will be published by Oxford University Press in 2009.